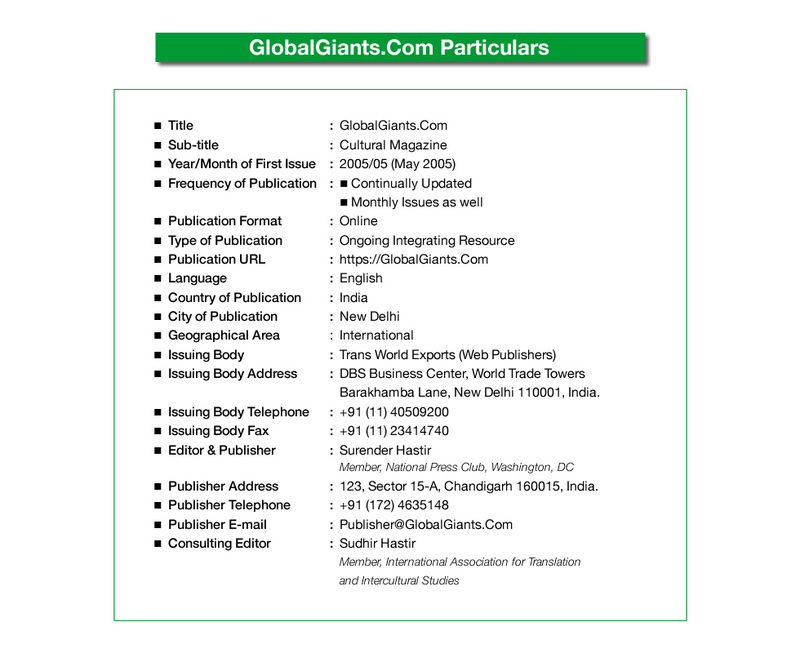 Launched in 2005, GlobalGiants.Com is an Inspiring Online Educational & Cultural Magazine that strives to assist the world community in fostering intercultural dialogue, arts, sports, learning, and creativity. It focuses on presenting high-class practical news, photos, and opinion. 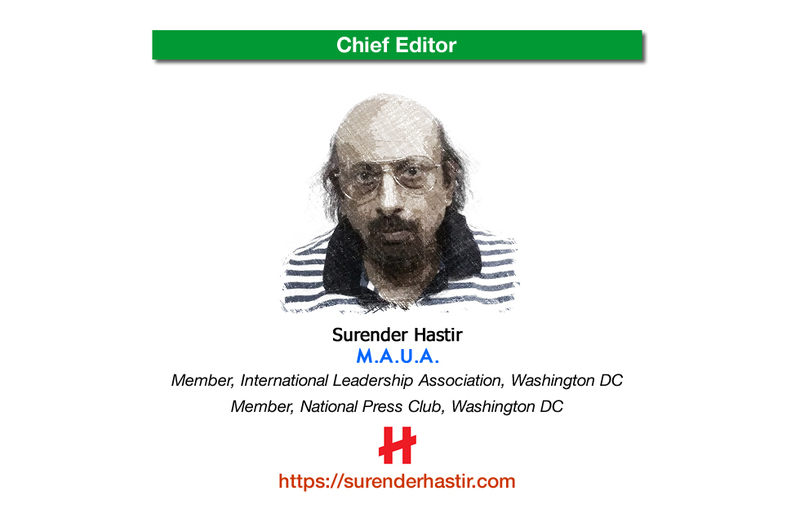 With thousands of invaluable viewers and subscribers accumulated over the years, it is enjoying an ever-expanding, highly-receptive, discerning, influential worldwide audience that includes arts and culture enthusiasts, businessmen, administrators, students, academics, journalists, law-makers, corporate executives, managers, and celebrities. GlobalGiants.Com creates its posts from the authentic, first-hand information directly provided by the source. 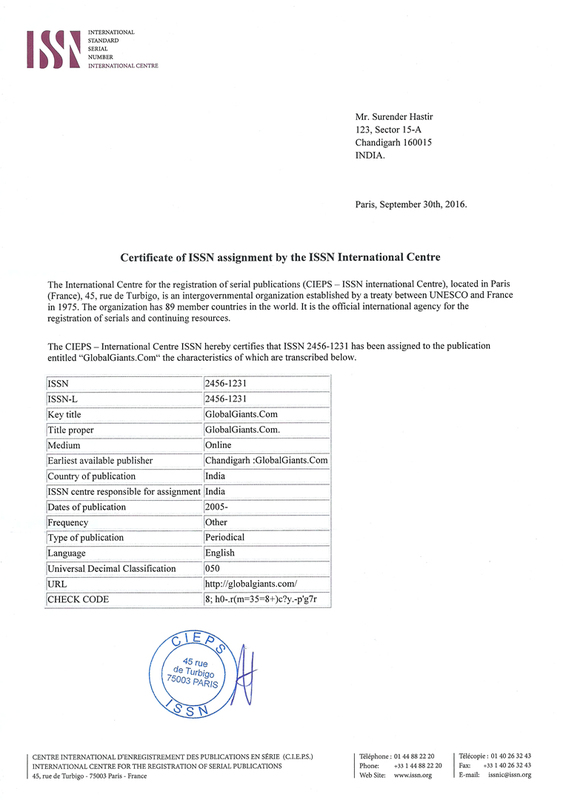 Visitors to this site come from all countries of the world. Global Giants' new, tech-savvy audience prefers subscribing to its feeds. Its RSS/XML/Atom feeds are available via all Feed Readers.